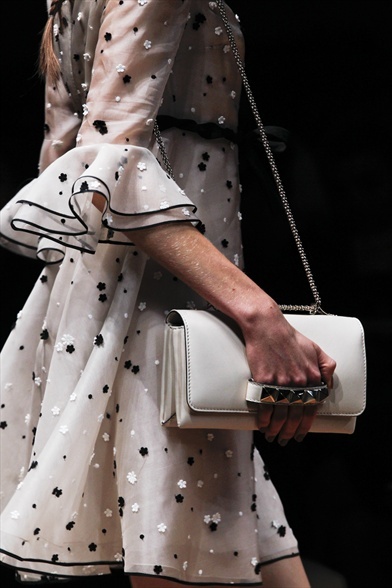 Unexpectedly chic in very kind of look, perfectly paired both with a metropolitan jeans and a red carpet long dress. 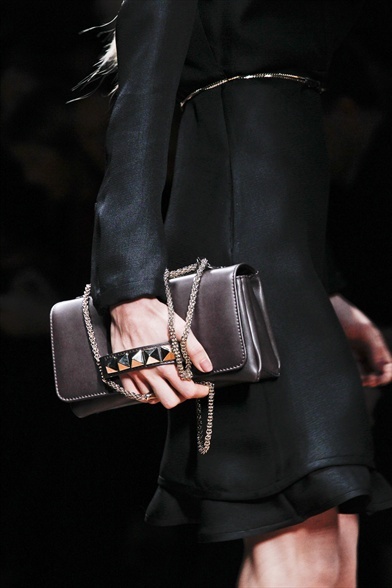 You can hold it in your hand, using the super personal rock-jewel handle, or sling it over one shoulder. 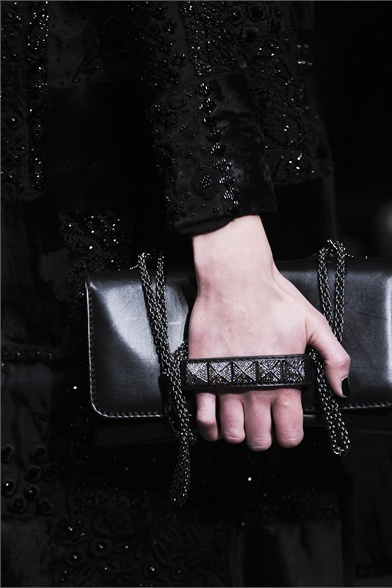 It is a clutch of the 2011 S/S collection, reinterpreted with the special "Noir" project for fall 2012. 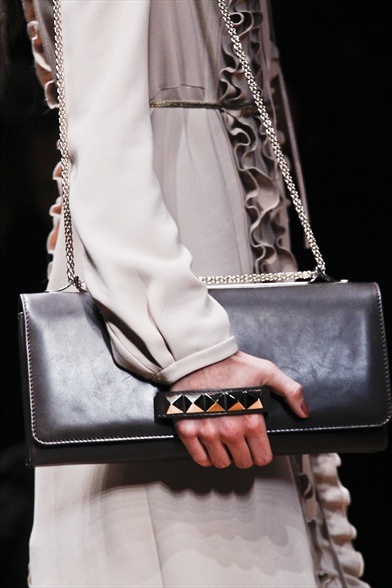 Immediately loved by actresses and it girls, the rock stud bag it is already a perfect Valentino style icon. Insospettabilmente chic con ogni tipo di look, dal jeans metropolitano all'abito lungo da red carpet. Da indossare a mano, con la personalissima impugnatura rock-jewel, o a tracolla, con una catenella sottile di metallo. Una clutch nata con la collezione P/E 2011, e reinterpretata per l'autunno 2012 all'interno del progetto speciale "Noir". 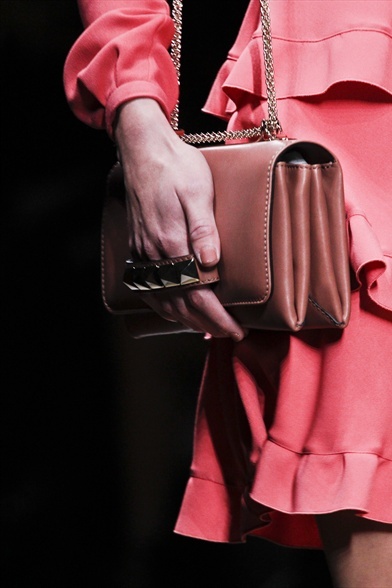 Amata fin da subito da attrici e it-girl, è già una nuova icona dello stile Valentino. A partire da 1200 euro!! 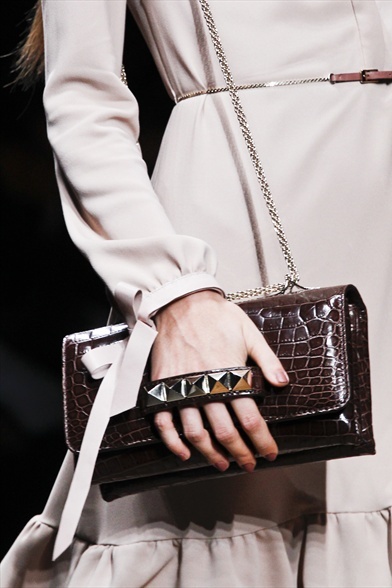 Its official, this has become my new favourite dream bag for the season, love the studded handle. la prima è meravigliosa..la voglio!! Molto bella :) Reb, xoxo. i'd love to get my hands on one of these! in ogni caso fantastico blog... cosa ne dici di seguirci a vicenda?